Transitioning from a little girl to a young lady is never an easy phase. A lot of things will change. Your likes, needs, and desires even your personality will change over time. As you grow to maturity your style and outlook will mature too. The room that you have when you were seven may not meet the needs of your teenage lifestyle anymore. Thus, modification comes into place. A stylish bedroom with the functionality that will allow you to relax, move around, organize you clutter, accommodate your friends is the one you need. 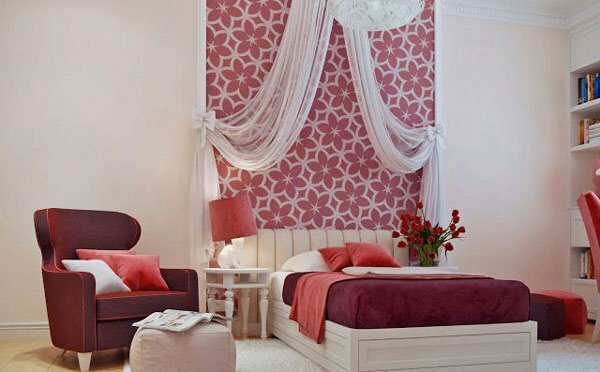 If you are a parent looking for a special bedroom design for your daughter, or a young lady who is searching for inspiration in designing your own bedroom, worry not. 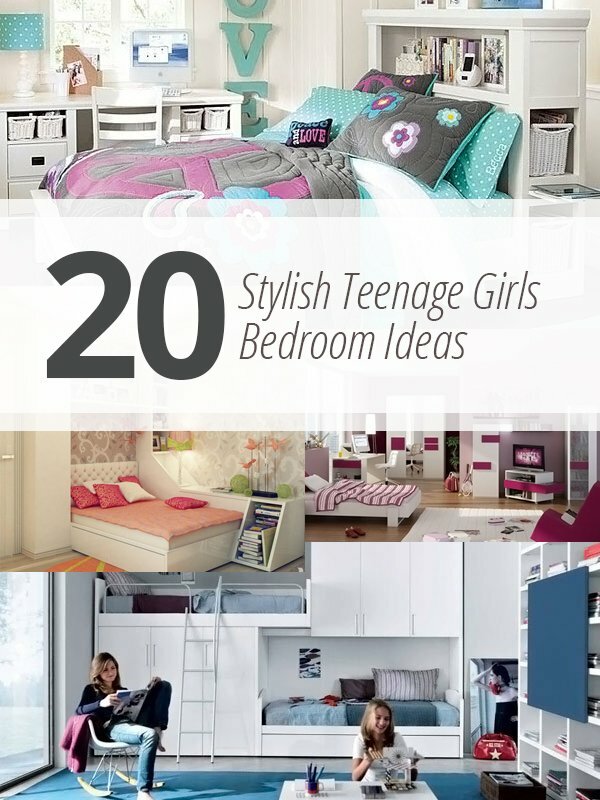 We have here 20 Stylish Teenage Girls Bedroom Designs where you can get great ideas and versatile concepts to be inspired with. A modern designed bedroom with a touch of femininity on every angle. 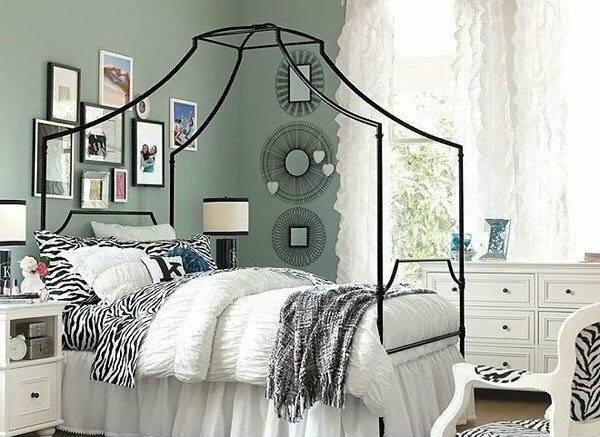 Animal printed accessories, wire graphic mirrors, gallery frames for a headboard and of course the canopy bed mixed all together to come up with this one of a kind fashionable bedroom. 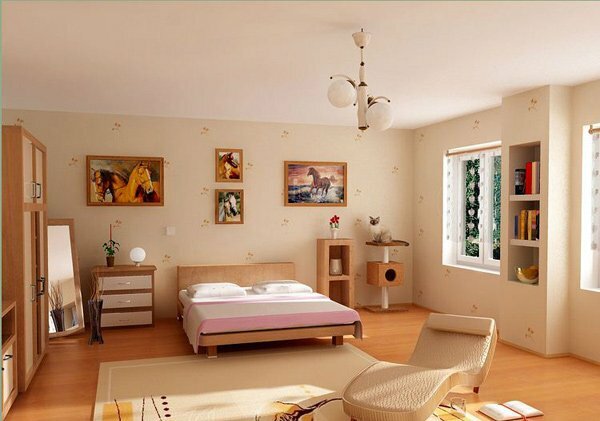 A modern minimalist design, shared-bedroom with splashes of vibrant hues that make the room youthful. The combination of soft-toned-colors makes this room so chic and girly. 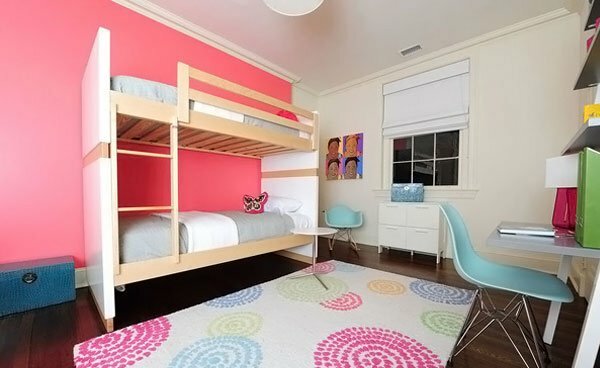 The pink lamp next to the bed is perfect for teens who love to read before sleeping. Playful color tones to match the active and fun lifestyle of your teen. The wallpaper makes a brilliant focal point and the artistic hanging accessory adds glamour to the room. A splash of purple and pink make this room standout. The table in front gives you convenience and ease while studying or working on a project. Express yourself with these metal wall letters and optimize your bedroom space using this storage bed. Keep all your essentials near your bed for easy reach. Brilliant! A minimalist design that is so full of shelves and storage room to use for. This is suited for teenagers who love to host pajama parties or even for just simple sleepovers only. The shades of pastel give zest to this room. Very charming, indeed! The glam-rock atmosphere is accentuated in every detail in this bedroom. Another sophisticated way in expressing oneself. This is a fabulous design for a stylish, clutter-free, study-focused teen like you. Achieve the glam modern design with this creation. Metallic blue and red accents beautifully contrast against the white wall. The floral accent, the red accessories that complement the neutral colored walls and how the shelves were built make this room remarkably, stylish in every manner. The combination of colors in this room creates a modern and glamorous look. A room full of kisses! Great modern design with functionality and artistry in balance! This is a perfect choice for a nature-lover teenage girl. The earth colors deliver a calm ambiance to this room. A modern design with a youthful flair! The wood, the soft colors and curved furniture bring in a feminine touch, a lovely design for any growing lady. Be a doll and be pretty! Pink makes this room pop. Also this modern design bedroom gives you more space by pushing the bed under the elevated floor making it an instant couch! 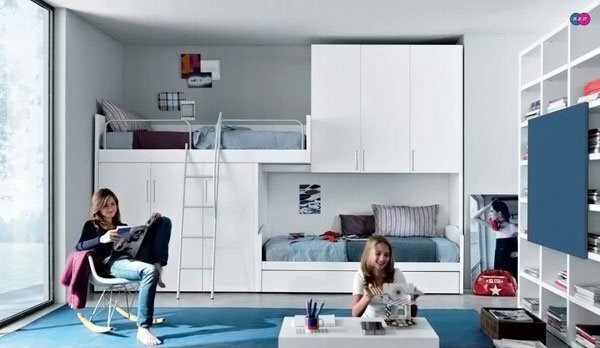 Your bedroom is a place where you love to do things your way, especially if you are a teenager. So let yourself be expressed in every detail of your room. For parents, make sure to work closely with your teenage daughters when designing their own rooms. Hearing them out, letting them pick the colors for their room will mean a lot to them. Designing it with your teen is an opportunity for you to know more about her. Make it as colorful as you want to show your energy and excitement. Or you can make it simple with minimal theme for a mature ambiance. You can also choose to show your artwork, your musical instruments, or beloved mementos as part of your accessories as shown on some of the pictures above. Be free and keep your youthful thoughts. Reflect your personality without compromising the functionality in creating your own stylish bedroom. I just loved the 2nd one. I found some of amazing ideas of home decor. What style/motif would you prefer? love these designs so helped do my girls room they love them !!!!! Love these design …all are so nice. really cool. love the last one. got a tiny room!